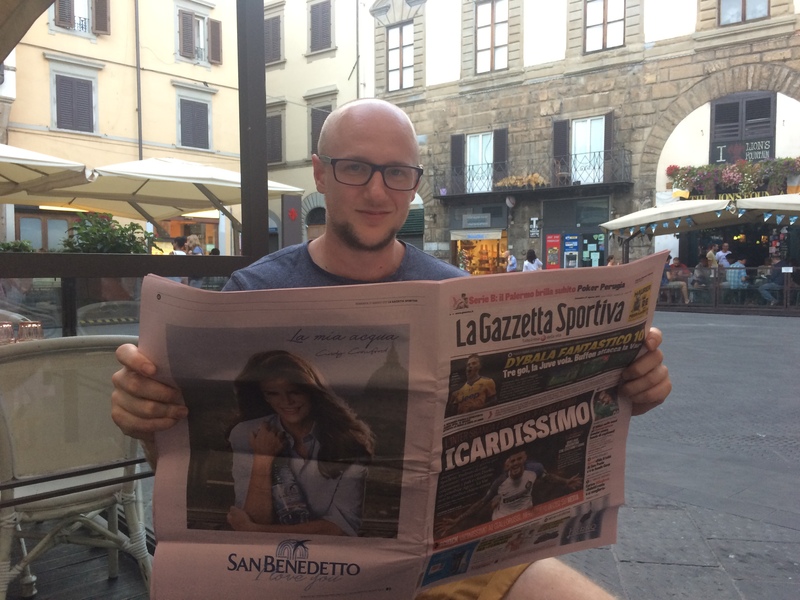 Golazzzzzo: Serie A Action in Florence! I could go on and repeat the same stuff most people write when they go to Florence. Of course there’s plenty to see and do in the beautiful city. 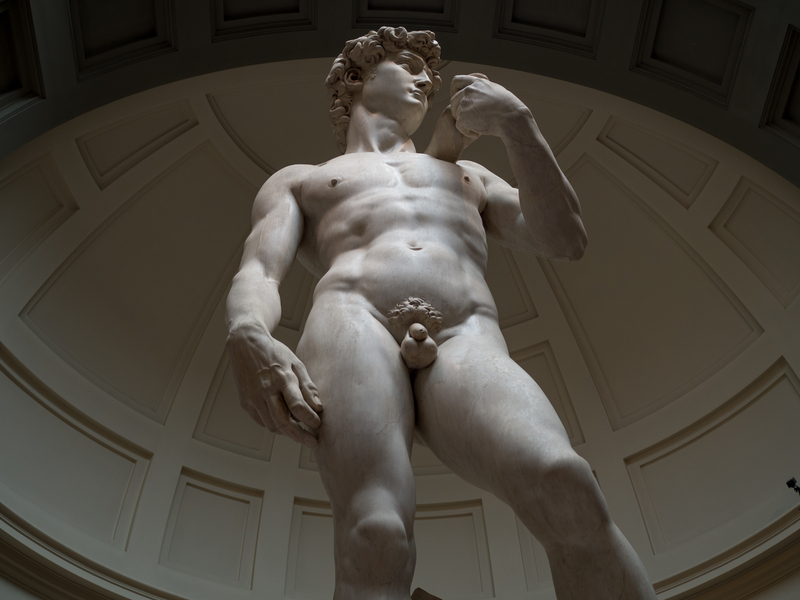 There’s a lot of historical buildings, a lovely riverfront and of course, a statue of a bloke called David with his knob out. Many more people will write about that sort of thing, will be much more knowledgeable about it than me and will have probably seen these things without a hangover. Basically what I’m saying is I can’t be arsed writing anything too informative about Florence. 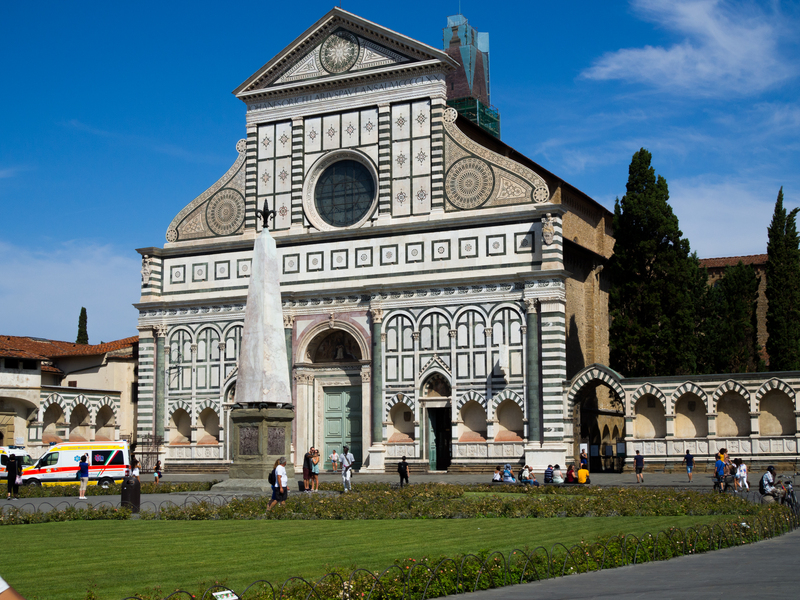 Thankfully, the main reason I went to Florence wasn’t history, architecture or anything like that. Nope! I visited the city for one reason only: football. As it happened, I had my pick of two games this weekend. I was faced with the dilemma of heading to Florence for Fiorentina vs Sampdoria, or visiting Genova for Genoa vs the mighty Juventus. Having seen Juve a few years ago in Singapore, as well as wanting to see Florence more than Genova my mind was made up. Florence it was! Picking up a ticket was much easier and cheaper than I had initially imagined. There are a number of places to get them throughout Florence but surprisingly enough the Fiorentina club shop in the centre of town wasn’t one of them. Instead I had to find my way to the Mercato Centrale (Central Market) and visit the ticket desk there. Rather oddly I had to show photo ID to buy a ticket, as well as needing it to get into the ground a few days later. I suppose that’s only a shock to people who support a team where there’s very little need to ever buy a ticket! I don’t have a picture of the Central Market, so here’s a panorama of the ground instead. I didn’t really have much of a clue where I wanted to sit, but thankfully the guy at the desk spoke excellent English and actually recommended a cheaper seat than the one I was originally looking at in the Maratona stand along the side of the pitch. In the end I paid just €20 to see top flight European footy from one of the best spots in the ground. For context, I’m fairly sure it’s £22 to see my beloved Rochdale from behind the goal in the third tier of English footy! I was joined by my Aussie mate Steve from the hostel, who managed to get a seat just a few rows behind me. After a day of sports starting with McGregor vs Mayweather in a cafe, followed by the Belgian Grand Prix and Liverpool vs Arsenal in a pub, we made our way to the Stadio Artemio Franchi. For anyone who grew up watching football in the 90s I’m sure there were few things more enjoyable than tuning in to Channel 4 on a Saturday and Sunday morning and catching up with the latest Serie A games on Football Italia. Seeing as I was in Florence and going to watch a game I decided to do my best James Richardson impression, inspired by Glen of Tokyo Fox fame! This picture will make no sense to many people. Despite being just a short walk from the city centre – around two kilometres in total – we were checking our maps until the very last minute as the usual pre-match crowds seemed to be missing. Thankfully we were on the right path and once we’d crossed the railway tracks we were suddenly faced by a sea of purple shirts queuing to get into the ground. 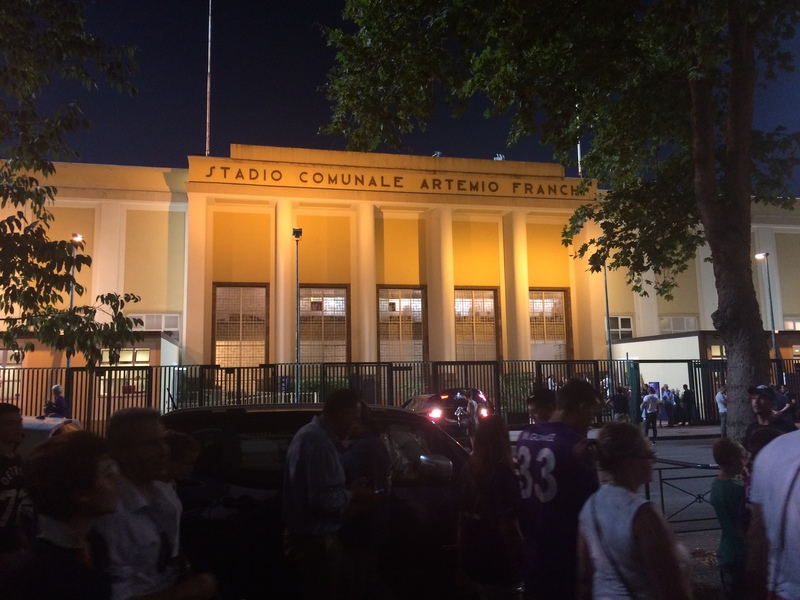 Stadio Artemio Franchi – home of Fiorentina…for the next few years at least! We thought we’d got there in quite good time but as it happens the ticket, bag and ID checks took quite some time and once we’d got into the ground, bought a beer and finally found our seats the game was just about to kick off. 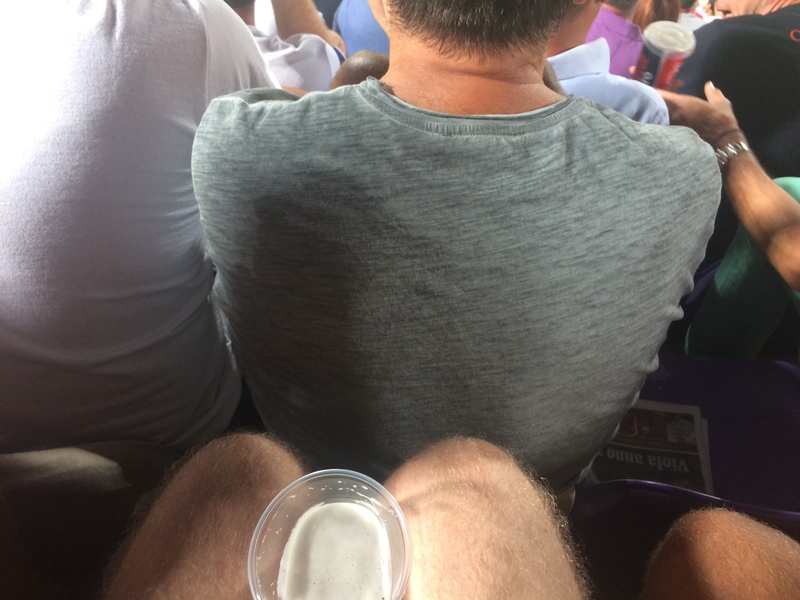 While trying to make my way to the seat in the middle of the row I realised just how cramped the stand was as I managed to single-handedly infuriate just about everyone in the vicinity by trampling on their feet and probably spilling beer on them in the process. I’m not the biggest of guys but I was struggling for legroom in these seats (a little like a long haul Air China flight!) so I dread to think what the taller members of the crowd felt like. I guess that’s what you get for €20! More cramped than the cheapest of cheap airlines! Having seen a lot of football in Japan and rarely been treated to many goals or even anything resembling action (aside from a 9-0 thriller in the Asian Champions League!) it was fun to watch a game where two teams seemed to be going for it. 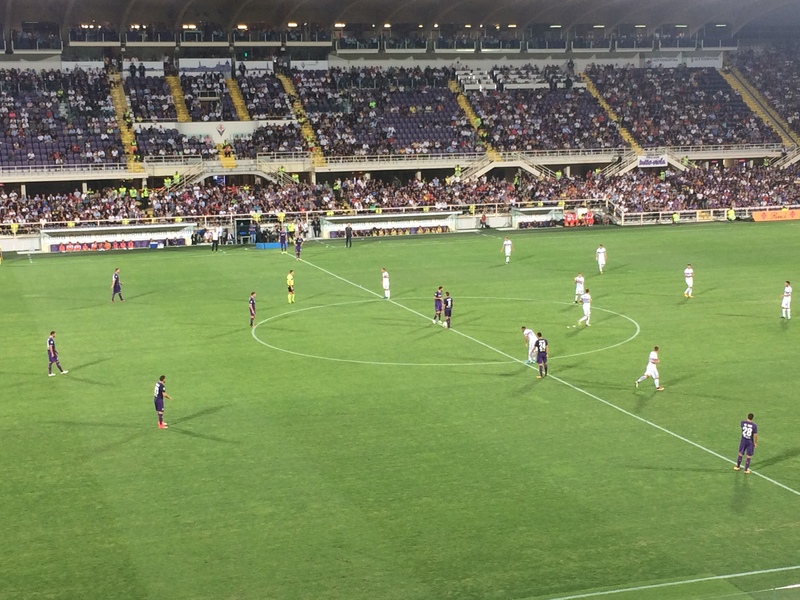 I felt like Fiorentina had the upper hand in the first half – although the Football Italia match report disagreed – but found themselves 2-0 down at half time thanks to a three minute capitulation! Having not kept up with either Fiorentina or Sampdoria in recent years it was interesting to see Enrico Chiesa’s and Diego Simeone’s sons now turning out for Fiorentina. I cant lie – this did make me feel a little old as I remember watching both of their dads play when I was a kid! Fiorentina’s second or third kick off! The home team got back into it and pulled a goal back just after half time but unfortunately couldn’t grab the all-important equaliser and the game finished 2-1. I felt a draw would have been a fair result but to be honest, I was just grateful to have seen a good game and a few goals after my recent record in Japan and Rochdale’s 0-0 snooze-a-thon with local rivals Bury the previous day! It’s early days, but maybe (just maybe!) my curse has been lifted.